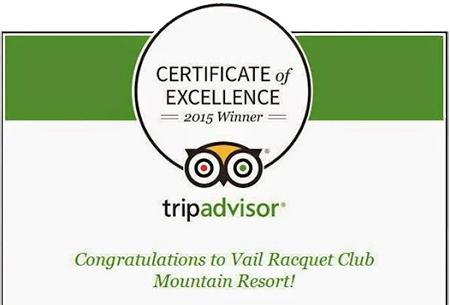 We want you to enjoy everything our mountain resort has to offer. Call us directly to ensure the best rate with no outside broker booking fees as seen on vacation rental sites as well as no cleaning fees and no security deposits. Booking directly with the resort will include onsite management, free parking and all the resort amenities! We look forward to your visit. Check in: 4PM – Check out: 10AM – housekeeping will arrive at 10AM to clean your unit. Any delays will incur a fee. Daily Trash & Towel Services and a Departure Clean are included in your stay. All condo buildings are 3 to 3.5 stories with covered stairways. There are no elevators for unit access. We recommend travelers insurance. Please review the cancellation and nonrefundable policies here. Although every attempt will be made to meet the requests when available, location and or bedding requests cannot be guaranteed for any stay. Deposit Policy: One night deposit is due upon booking. The final balance is taken 7 days prior to arrival and will be charged to the same credit card provided for the deposit unless the Vail Racquet Club Mountain Resort is otherwise notified. Cancellation Policy: If a reservation is cancelled or modified 8 or more days prior to arrival, all money collected will be refunded less a $50 handling fee. Cancellations made within 7 days prior to arrival are non-refundable. Reservations made within 7 days of arrival require full payment at booking and are non-refundable. Deposit Policy: One night deposit is due upon booking. The final payment is taken 30 days prior to arrival and will be charged to the same credit card given for the deposit unless the Vail Racquet Club Mountain Resort is otherwise notified. Cancellation Policy: If a reservation is cancelled or modified 31 days or more prior to arrival, all money collected will be refunded less a $100 handling fee. Cancellations made within 30 days prior to arrival are non-refundable. Winter reservations made within 30 days of arrival require full payment at booking and are non-refundable. Deposit Policy: (Christmas/ New Year): One night deposit is due upon booking. The final payment is taken November 1st. The final balance will be charged to the same credit card given for the deposit unless the Vail Racquet Club Mountain Resort is otherwise notified. Cancellation Policy: If the holiday reservation is cancelled or modified prior to November 1st, all money collected will be refunded less a $150 handling fee. Reservations are non-refundable if cancelled on or after November 1st. Holiday Season reservations made after November 1st require full payment at time of booking and are non-refundable. In addition to the cancellation policies listed above, the VRCMR is not required to refund a reservation that cannot be used due to situations out of our control such as weather, road conditions, road closures and or illness. Once full payment is collected all reservations are non-refundable.